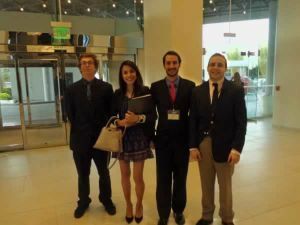 Several Pensacola State College students represented the institution well during the 2016 Florida Model Legislature Conference. Andrew Stahlecker, John Seward, Kaitlin Santiago and C.J. Kennamore were the Pensacola State delegates at the conference held Oct.14 through 15 in Orlando. Doug Mock, Pensacola State history, languages and social sciences instructor, and a political analyst, is the delegation’s adviser. The Florida Model Legislature allows students from all over the state to serve as lawmakers in a simulation of a State Legislature. Participants serve in the state House of Representatives or Senate where they write, debate and vote on legislation while representing the people of their legislative districts. Stahlecker ─ who won a “Distinguished Senator” Award ─ said he walked away from the conference with a much deeper understanding of how the Florida Legislature works. “I was also able to test my own ability to perform the role given me. I was reminded of why I don’t like party politics and what it has forced our whole political system to become, especially in light of the current presidential election. However, the Florida Model Legislature Conference has rekindled an earnest interest in our state level government to the point where you may be seeing my name on a ballot in a few short years,” said Stahlecker ─ one of only three senators rated “outstanding” or “distinguished” at the conference. Seward, Santiago and Kennamore also did outstanding work. Santiago was in the leadership of the Democratic Party, and Kennamore served as vice-chairman of his committee. Florida Atlantic University – the only institution rated outstanding – was the conference’s overall winner. Pensacola State was the higher ranked of two institutions that won a “Distinguished Delegation” award. 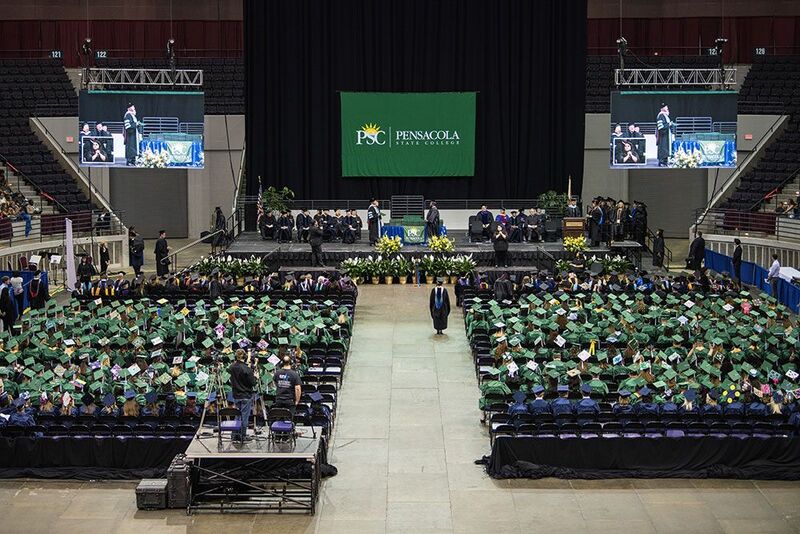 Pensacola State placed first among state colleges. Historically, Pensacola State does well at the conference. In 2015, John Seward was recognized as a “Distinguished Senator,” and the college received the “Distinguished Delegation” award. Mock said the conference can really enlighten young adults about the law-making process. Santiago, 2016 Florida College System Student Government Association president, said the Pensacola State team experienced a whirlwind of hands-on learning, team building, and critical knowledge while understanding the legislative process. “The conference also meant a great deal to me as the FCSSGA president. Not only was I able to learn incredibly vital legislative lessons, but I also had the opportunity to spend time with my college throughout this process, and get to meet with students from across the state,” she added. Also, Santiago said information she gleaned from the Model Legislature Conference will allow the FGSSGA to build a stronger platform to take to Tallahassee during “Rally in Tally” Conference set for early next year. The annual “Rally in Tally” allows groups to make the Florida Legislature aware of issues facing Floridians.